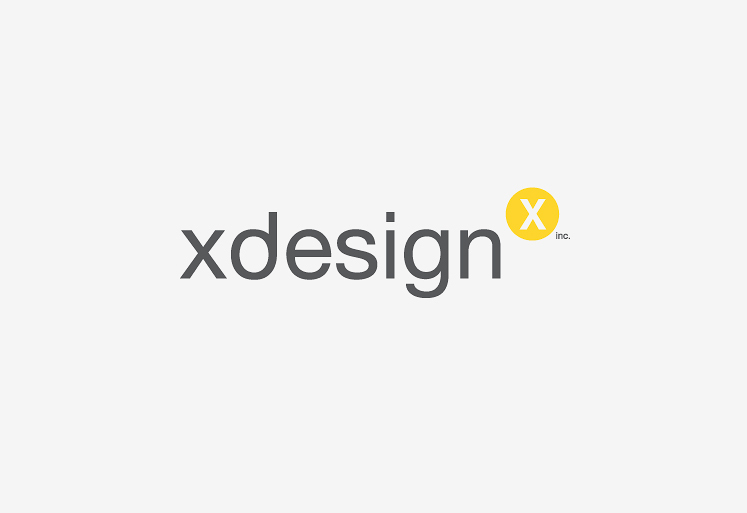 xdesign is a Toronto based, full service design firm offering interior design, project management, and technical support services to companies around the world. 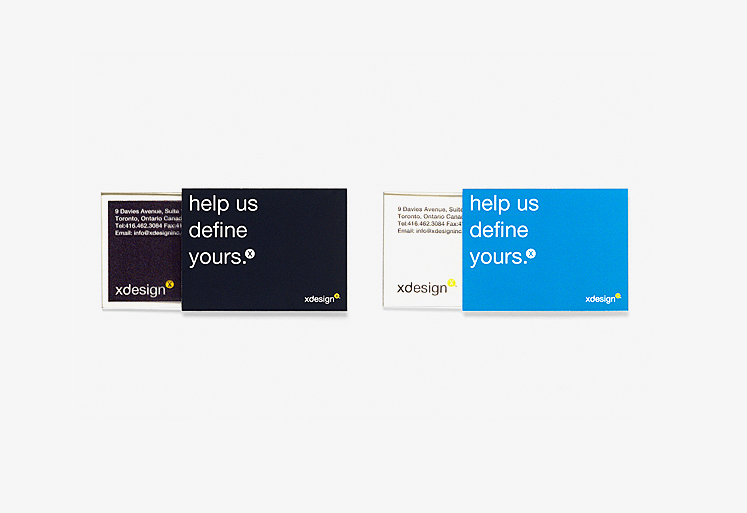 After eight years of working on small, large-scale, and international projects, xdesign realized that they were lacking clarity, consistency, and credibility in their own identity. typotherapy was approached by xdesign to develop a new brand identity that is current, flexible, and would adhere to a variety of applications with the utmost integrity. typotherapy designed an integrated brand identity that included developing a custom logotype, flexible marquee, a distinctive colour set, and an interknit typographic system. 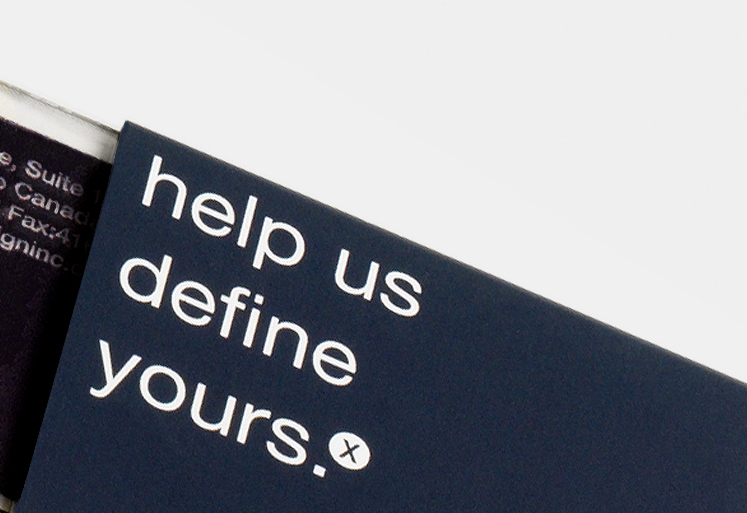 While the colour set is quite primary, and used as an accent marker on the marquee, the marquee was designed in a way that it would not only reference xdesign, but it could also be used as a bullet to validate xdesign’s slogan, statements or presentations. 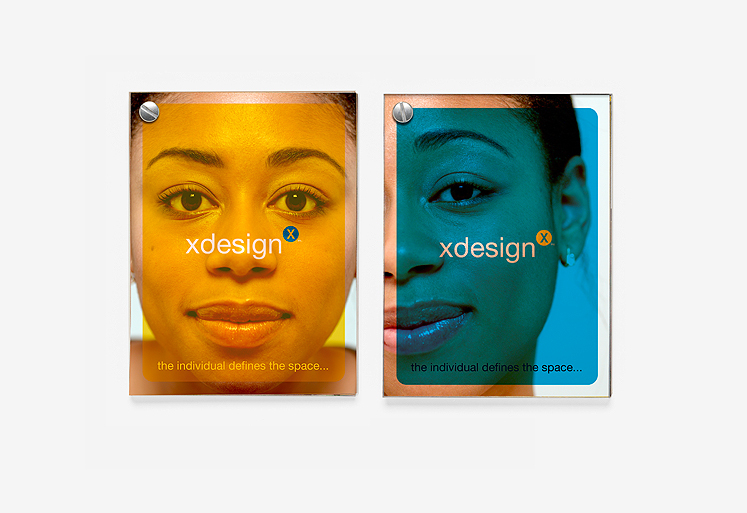 typotherapy designed and developed a font that contained xdesign’s identity which was installed throughout the studio to allow easy access and usage of the identity for all their employees. The font consists of a key combination to activate the three components of the identity. 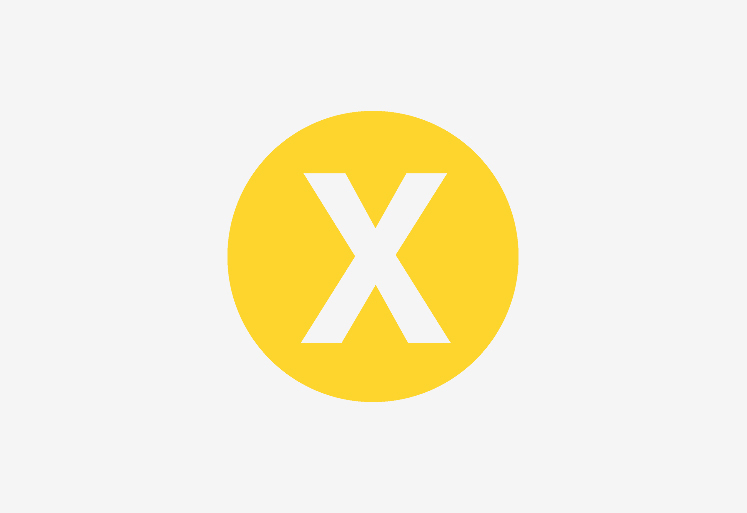 This combination accesses the logotype, the marquee and the ‘inc.’ Thus the user was able to easily apply colour to the marquee and/or use the marquee as a bullet in any digital application. 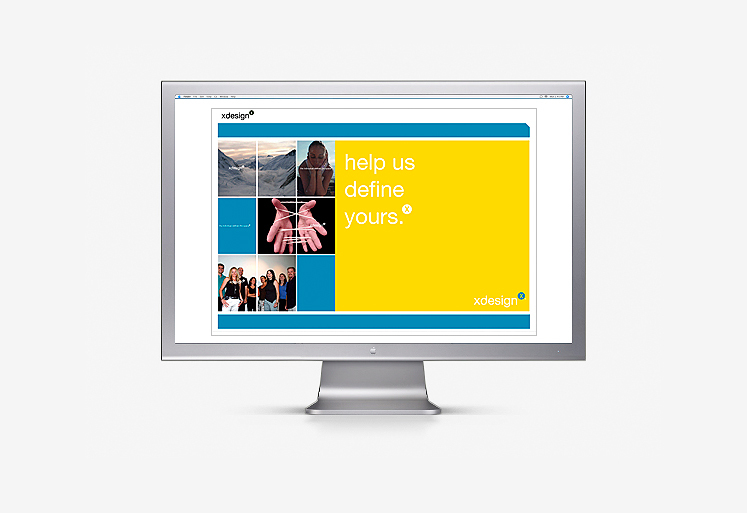 This proved to be very efficient and valuable to xdesgin. 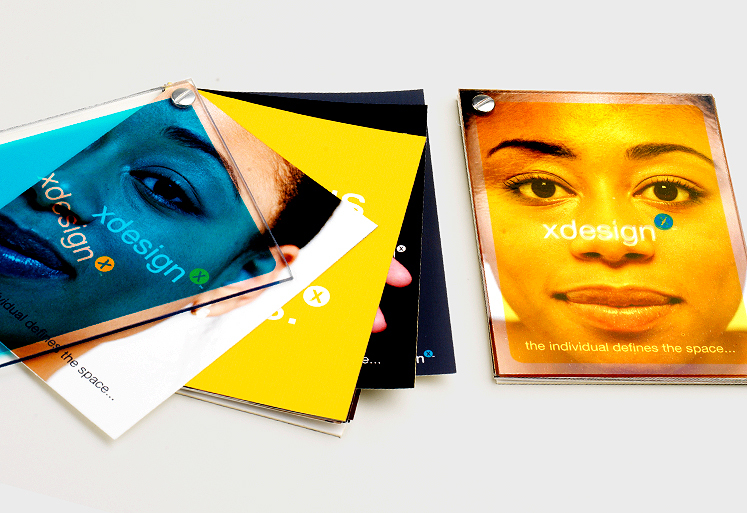 typotherapy went on to design xdesign’s business cards, promotional materials, presentations, website and slogan. 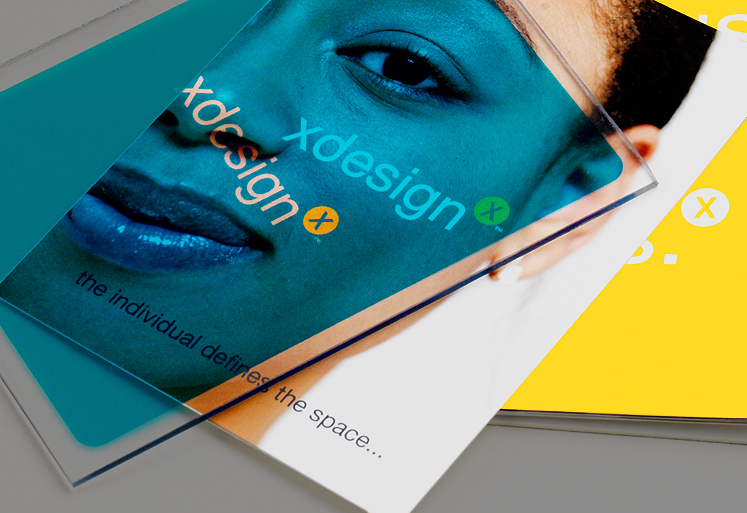 As result, xdesign has grown into an exceptional design firm with projects that span the globe. typotherapy has collaborated with xdesign on several joint projects including Betty Hemmings Leathergoods and DEWA projects.